Bugs Or Us Pest Control is a leading Pest & Termite Control Company in the Wollongong Illawarra area and specialise in Termite Inspections with our own termiteDdetection Dog, Thermal Camera and Termatrac machine. Bugs Or Us Pest Control offers all of our specialist services, including home pest control, termite inspections and termite treatments. 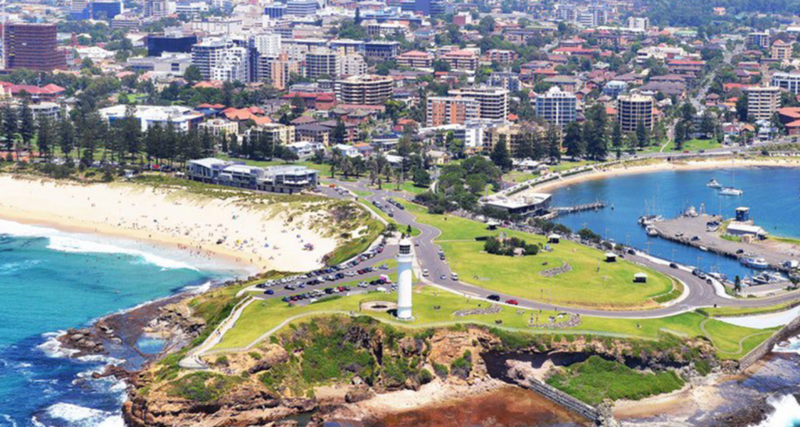 With our Base in Unanderra we are centrally located to service most suburbs in the Wollongong region whether you are in the Kiama, Shellharbour, Dapto, Corrimal, Bulli, Thirroul or surrounding suburbs we can come to you. Bugs Or Us Pest Control are a leading Pest and Termite control company in the Wollongong region. What we do in a general pest control treatment? A standard pest treatment carried out by Bugs Or Us Pest Control would generally include the external spraying of building walls fences sheds bins clothes lines and cubby houses etc., spray internally of the home around the skirting boards cupboard kickboards and sometimes in around the kitchen cupboards a gel amybe used, a pesticide dust will be blown into the roof void and into the sub floor area where possible. In some cases we may do total internal floor sprays or yard sprays depending on the pest we treat, all products we use are registered for their intended use and purpose so you can feel safe after the treatment has been done with your saftey in mind. Annual termite inspections are essential for early detection of termite activity on the property to prevent the potential for large scale damage and expensive repairs. Inspections also assess the conditions that make a property more susceptible to timber pests and ways to minimise the risk of attack. A great majority of homes in the Wollongong Region are at risk from termite attack. The Australian Standards recommends a competent pest inspection at least on an annual basis and in some cases more frequent depending on your risk of termite attack. By doing termite inspections so frequently ideally the termites can be detected before they have done extensive damage to your property and that it is repairable at a lower more affordable cost. A comprehensive annual termite inspection by Bugs Or Us Pest Control is your best option as with our specialised tools like our Termite Detection Dog, Thermal Cameraand termatrac machine. We have a better chance of detecting termites than possibly 99% of all Australian pest control firms. This is mainly attributed to the use of our Termite Detection Dog, as they rely on scent and not the termites being visible. They are far more likely to find termites where a person alone would fail, particularly when the house is constructed on a concrete slab, has restricted access in the sub floor or non visible entry points. Our Termite Control Technicians use their experience and professional training to carry out a comprehensive inspection of your home or business premises. We inspect all accessible areas of the building where applicable, sub floor, roof void, interior, grounds ect, all in accordance with the Australian Standard. We will be looking for live termites, previous termite damage and any factors that may contribute to possible termite attack in the future. We will also use our termite detection dog if it has been requested and our thermal camera. You should note that there is no standard for the use of a thermal camera in our industry and we do not claim to be qualified thermographers. We use our training provided and industry knowledge to determine if we think there is a thermal anomaly that warrants further investigation. If necessary we will use our Termatrac machine, by using all these tools your inspection exceeds the Australian Standard. Before any termite treatment in the Wollongong region should begin, a full termite inspection must be carried out by an experienced technician. This inspection is required because there may be other areas in the building that are also infested with termites and if these are not treated, then full control is unlikely. Termite baiting is the most effective way of achieving termite colony control and is a non-toxic option. We come across many houses in the Wollongong Illawarra Region that have had a cheap treatment done that did not gain control of the colony. Baiting involves us trying to get the termites to feed on the bait (the hardest part of the job), once this happens, they take it back to the nest and feed it through the colony. Termites actually moult several times a year and when this happens the colony will break down and die if they have consumed enough bait. The way the ingredients in the bait work is referred to as an Insect Growth Regulator, (IGR). As baiting relies on this (termite moulting) getting colony control is a lot more achievable because we are not putting a poison in contact with them as such. This involves digging a trench around the perimeter of the house, the sub-floor, around walls and piers. A chemical is poured into the trench and the soil is placed back. Concrete slabs, paths and driveways are also drilled and the chemical is injected into each hole. When termites try entering the home by passing through a treated zone it will kill them as they come in contact with the product used. There are various product that we can use and have a life expectancy anywhere from 3-10 years and will often give you your best value for money when you work the cost out over the life expectancy of the product. This system can be used as part of a prevention treatment or an active termite site. Termite Treatments are complex and may take months to complete. If the treatment is not done properly or the recommendations provided by the technician are not followed, then eradication is highly unlikely. Therefore it is essential that treatments are not tampered with and are only carried out by experienced termite technicians. It is important that your building suits this type of treatment as if a complete treated zone is not done it may fail, we come across many houses that have been treated in this method and it should have never of been offered and this is why it fails. not due to the product but poor application. Termite monitoring stations may also be placed around the property to monitor termite activity in the area if a chemical treated zone is not installed. As the name suggests they are there to monitor and if termites are detected the baiting can start again prior to them entering your house ideally. Sentricon Always Active Stations are the only stations currently that have bait in every station, this can reduce monitoring and baiting costs in the future but are more expensive to install. Other brands on the market have timbers inside the monitoring station.